We are the original, the largest and fastest growing online global Sports Cardiology community. Our team includes highly experienced and qualified doctors, nurses, cardiac techs, sports scientists, physical therapists, etc. If you are a new Cardiac Athlete we encourage you to join us on Facebook, our Closed Members Only Group. In there you will find instructions on how to add your own red pin to our CA Team ‘ZeeMap’. That way you will discover other Cardiac Athletes near to you and be able to contact them to see if they would be interested in a meet up or even a team up. These are proving ever more popular and growing in numbers in all countries. It’s a great way to squeeze some fun out of heart disease, meet interesting and knowledgeable characters from the CA forums, create medal winning teams that get in the media. The biggest meet up to date was back in 2010 in Harrisburg, Pennsylvania, USA. That was a mixture of ‘Valvolene’ and Cardiac Athletes. The UK branch of CA has since taken the lead and is embarrassing the other continents so far … but I have a feeling they will soon be trying to outdo the UK lot. We have members all over the globe … The UK, Ireland, Scandinavia, France, India, Africa, Arabia, China, Australia, New Zealand, USA, Canada, Hawaii, and more. Meetups and team-ups qualify you for points towards our ‘Ambassador Program’ too if you are interested in getting more involved in changing the world for the betterment of CA’s everywhere. There is a lot that needs to change. Taking one example … just how many people out there are finding their pacemakers are actually hindering their sports performance and don’t know why ? Maybe you received one without a dual sensor and now when you try to cycle up hills your pacemaker does not respond adequately ? Maybe your pacemaker is still in shipped factory settings and has never been adjusted appropriately ? 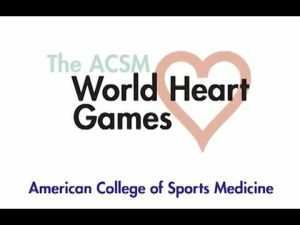 Cardiac Athletes demand for more Sports Cardiology, more Sports Cardiologists, more Sports Cardiology Clinics and how about a PROPER World Cardiac Games rather than the utterly ludicrous and insulting one launched by the ACSM which excludes our Cardiac Athletes because they are too fit ?